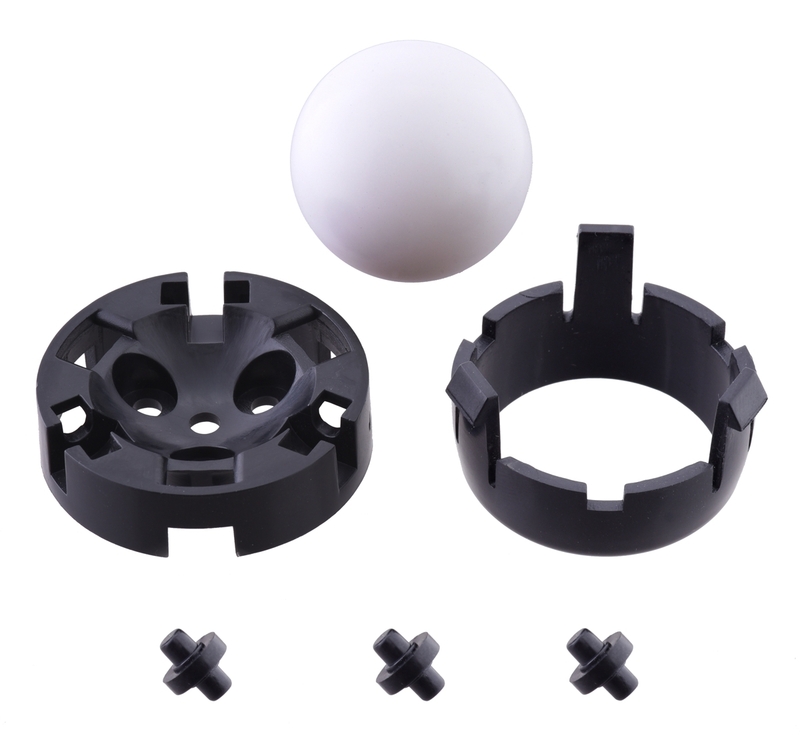 This ball caster kit includes a two-part black ABS housing, a 1″ diameter POM (also know as acetal or by the brand name Delrin) plastic ball, and three ABS rollers. 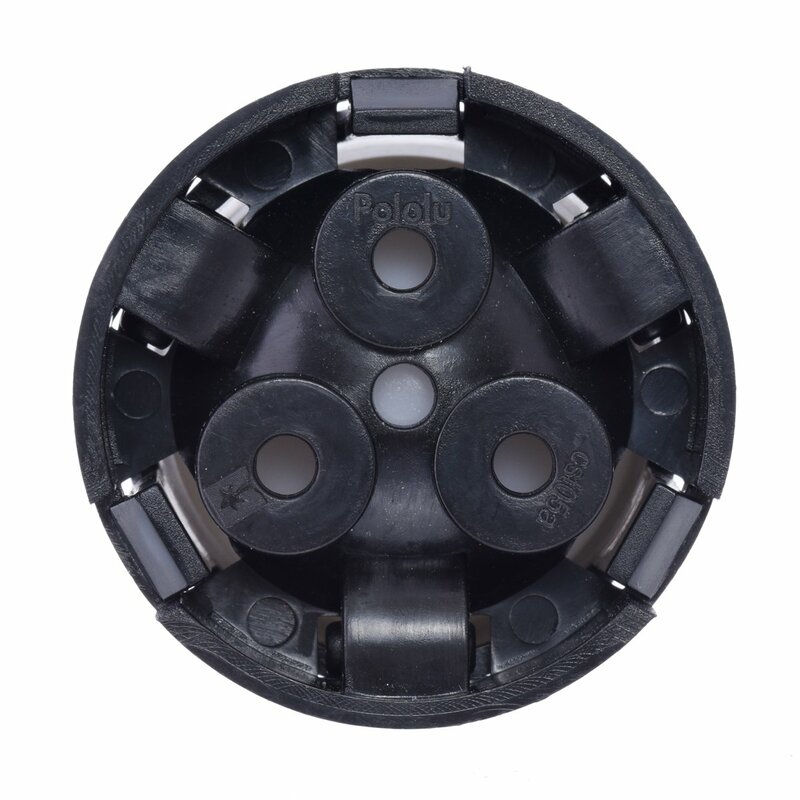 When assembled, the ball caster is capable of rolling in any direction with low friction, making it suitable for use as a third contact point for wheeled, differential-drive robots weighing up to around ten pounds. The base piece of the housing has holes for three #4 or M3 mounting screws (not included) and slots for the three rollers. The second part of the housing snaps into the base piece to secure the ball and rollers. 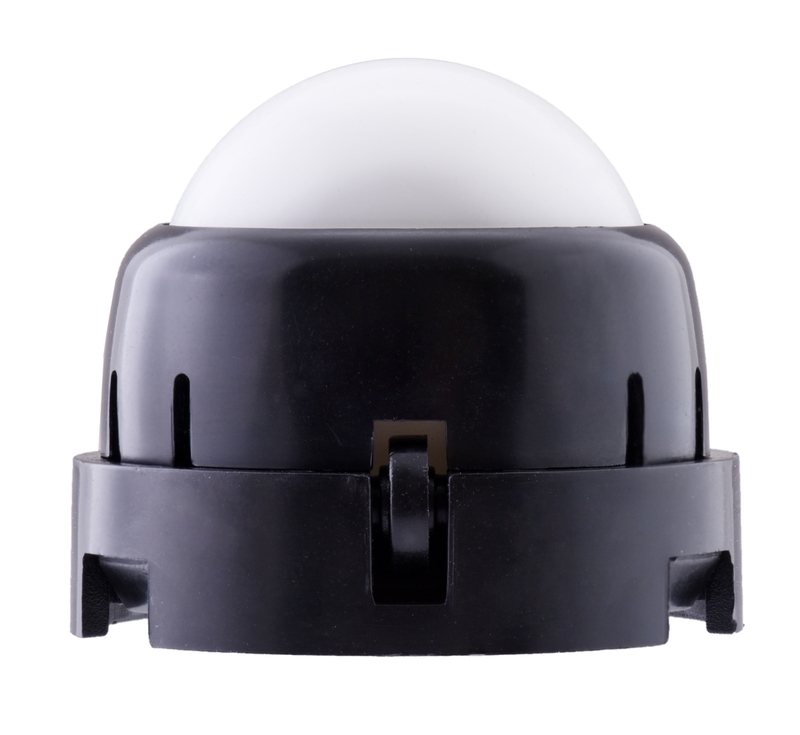 The assembled ball caster has an overall height of 1.1″ (29 mm). To reduce the friction even further, the included plastic rollers can optionally be replaced by 3 mm diameter dowel pins and standard 3×7×3mm ball bearings (3 mm inner diameter, 7 mm outer diameter, 3 mm width); the dowel pin length must be between 6.5 mm and 9 mm (we recommend 8 mm, which matches the width of our plastic rollers). 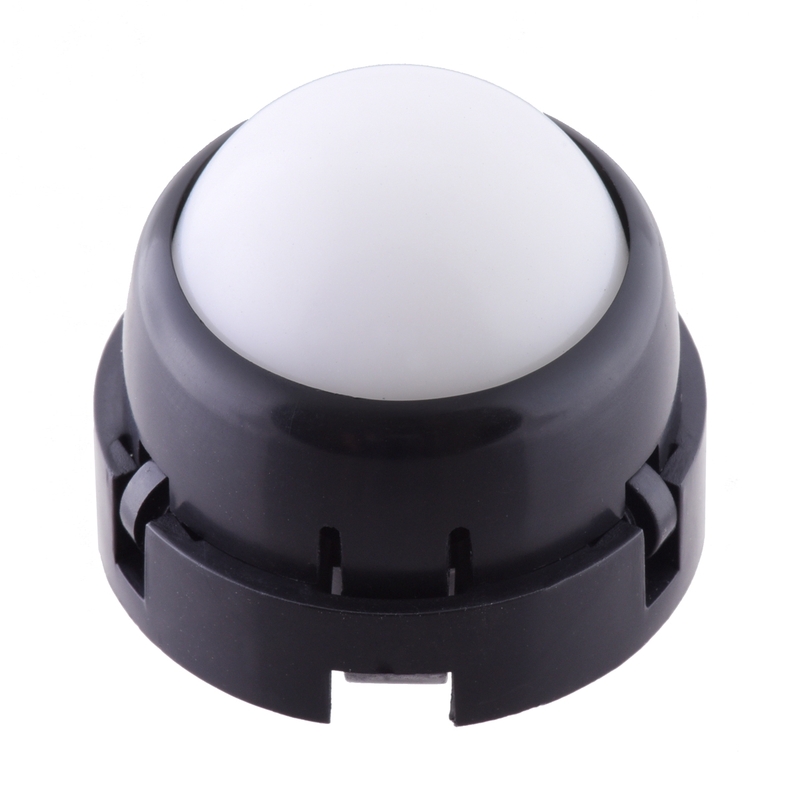 It is also possible to substitute a 1″ metal ball for the included plastic one for applications where a harder ball would be beneficial (note that a metal ball is much heavier and will not necessarily increase the load-bearing capacity of the ball caster). Pololu Ball Caster (item #2691) assembled with ball bearings and a metal ball (not included) .